Retail - Cooperative Producers, Inc.
CPI Premier Stop is dedicated to serving all aspects of your busy, motor-driven life with the highest quality products. Whether you’re headed to a summer softball game or traveling for the holidays, our convenience stores will be there to provide the best service. All eight CPI Premier Stops are stocked with the newest products and innovations, from pop to sports drinks, candy bars to salty snacks. Our South Central Nebraska convenience stores carry top-tier Cenex® fuel to keep your cars running. Stop in at your local CPI Premier Stop for top-notch service and friendly smiles before you hit the road again. Whether our convenience stores are in a small community or a larger town, our customers deserve the best. Let CPI Premier Stop provide that for you. The knowledgeable team of mechanics at each of our 10 Mr. Tire Auto Service Center locations is ready to diagnose and repair your vehicle. Whether you need to get back on the road, regular maintenance or a new set of tires, CPI has you covered. Farmers in need of tires for ag equipment can call our Trumbull location at 402-743-2381 or 800-325-2379. Our dispatcher will take your information and send one of our service trucks to your farm. Click below to visit our Mr. Tire page, where you can order tires online. 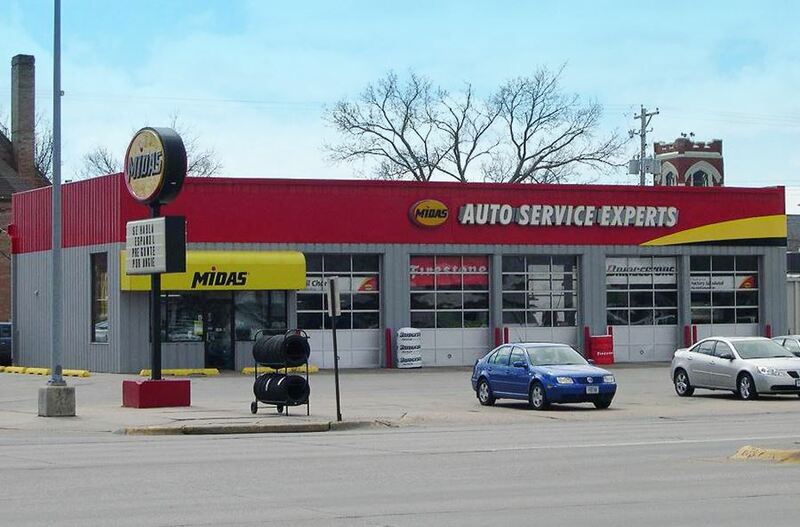 The knowledgeable team of mechanics at our Midas location in Kearney is ready to diagnose and repair your vehicle. Whether you need to get back on the road, regular maintenance or a new set of tires, you’ll find it at Midas. Visit our Midas page to request an estimate or an appointment and learn more about the services and products we offer.